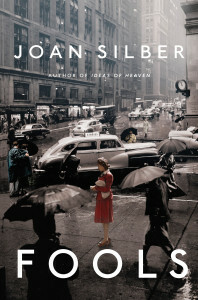 Joan Silber is a celebrated author who has received acclaim for her work as a novelist and a short story writer. Her short fiction has been chosen for an O. Henry Prize three times, twice for a Pushcart Prize, and once for Best American Short Stories. She has been a recipient of an Academy Award in Literature from the American Academy of Arts and Letters, a Guggenheim Fellowship, grants from the National Endowment for the Arts and the New York Foundation for the Arts, and it should come as no surprise that her first novel, Household Words, won the PEN/Hemingway Award. Among her other books, Fools was on the Long List for the National Book Award and was nominated for the PEN/Faulkner Award, Ideas of Heaven: A Ring of Stories was a finalist for the National Book Award and the Story Prize, and The Size of the World was a finalist for the Los Angeles Times Prize in Fiction, and was one of Seattle Times’ ten best books of fiction of 2008. Her other works of fiction include In the City, In My Other Life, Lucky Us, and her non-fiction work from Graywolf Press is part of “The Art of” series, The Art of Time in Fiction. Her short stories have appeared in The New Yorker, Tin House, Ploughshares, The Paris Review, Epoch, Agni, and Northwestern Review. 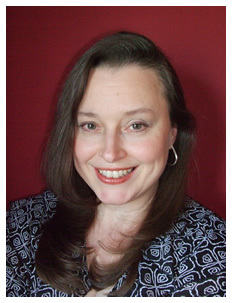 She is currently teaching at Sarah Lawrence College and Warren Wilson College. She has also taught at New York University, the University of Utah, Boston University, and the 92nd Street Y. Her summers have included teaching and conferences at Napa Valley, Bread Loaf, Indiana University, Manhattanville College, Stonecoast, Aspen, and Sarah Lawrence College. This is the second half of my interview with Joan Silber. Otis: You had mentioned you wanted to talk about time in an email you had written to me previous to this interview. What did you mean by that? Silber: People often ask me about it because I’ve written a book, The Art of Time in Fiction, in Graywolf’s “art of” series. I myself like to use long times in short stories—I often write “biographical stories” that span lifetimes. I want to get to that longer perspective, which isn’t given in a single moment–so you see the changes someone goes through over a long period of time. I’m more interested in that than in the changes that happen in one scene. Otis: Do you use in your writing what you observe in people?The end carries the meaning; readers have to know what they’re walking away with, so I do a lot of work on the endings. Silber: I’m using my ideas of what life is in my fiction. Your beliefs come through. Otis: How do you decide to end your stories? Silber: I usually know where they are going to end in time, but actually writing the ending is difficult. They sometimes end too abruptly. I have a friend who is my reader, and she often says, “You need more here.” The end carries the meaning; readers have to know what they’re walking away with, so I do a lot of work on the endings. Otis: So, do you know your endings beforehand? Silber: In terms of plot I usually know where they are going to end. In terms of the phrasing and the feeling, I don’t always know. Otis: How do you figure that out? Silber: From doing it over and over. There isn’t a method. If it comes out wrong, I rework it, trying to get it. Otis: I know you worked with Grace Paley. How much did she influence your work? Silber: I was writing poetry when I was Grace’s student. She challenged us—the poetry students—to write a short story for her. I spent a long time on it, and I liked it so much it made me want to write fiction later. Grace always used to say: “Fiction is always about character.” Years later I left poetry because I wanted to talk about people. Grace also thought a story should be organized like a poem. She wasn’t very into plot. Otis: When you say organized like a poem, what exactly do you mean? Silber: It seems less clear to me now than it did at the time! I think she wanted to emphasize that a narrative can follow a sequence of key images and key moments of feeling. Otis: How much has poetry influenced your fiction? Silber: I did want to be a poet when I was younger, and I still pay close attention to each sentence. I don’t read as much poetry as I used to. Otis: What other writers or creative people influenced your writing? Two contemporary writers who are friends of mine, and whose books I admire and learn from, are Charles Baxter and Andrea Barrett. 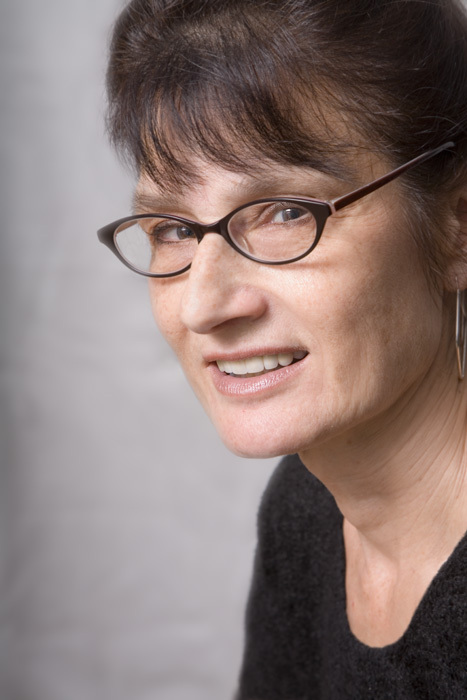 Silber: Chekhov is my mentor, and I love Alice Munro. Otis: When you’re writing, are you also reading? Or is reading done at a separate time from writing? Silber: I’m always reading, sometimes for sheer pleasure, sometimes for what I’m writing. Otis: What currently are you reading? Silber: I always love Colm Tóibín, and I loved A Little Life by Hanya Yanagihara, which I thought was stupendous. I just taught Lily King’s Euphoria to my class, and it’s wonderful. Those are recent books I especially like. I also liked Anthony Marra’s The Tsar of Love and Techno. Two contemporary writers who are friends of mine, and whose books I admire and learn from, are Charles Baxter and Andrea Barrett. Andrea reads my manuscripts and has been very helpful. Otis: How much do you write before you give your manuscript or short story to an editor? How does your editing process work for you? Silber: As done as I can make it before I show it to anyone. I use my friends in the earlier stages. Even with friends, I don’t show a story or a chapter until it has reached the end. Otis: Do you feel writing a short story is easier to write than a novel? Silber: Well, I’m working on a novel now, and I’m just finishing it. I would say the novel is harder, yes. Otis: What aspects of writing a novel make it harder? Silber: I’m not entirely sure why. I do love to read novels. One of the reasons I wanted to do a novel is that I wanted to avoid doing the same thing. I found my own way with short stories, and I think this novel has its own form—it’s just taken me a while to find it. Otis: How long has it taken you to write this novel? Silber: It has taken me four years.I don’t get blocked like I did when I was young. When I was young, I often had what I would call resistance, when I’d sit down and I wouldn’t be able to do anything. Now I’m more professional about it. Otis: When can we expect to see it? Silber: I’m just finishing it now, so it won’t be too soon! Otis: In what ways do you challenge yourself as a writer? Do you have goals to write outside of your comfort zone? Do you do that regularly? Silber: Going back to the novel form was a way of challenging myself. I think it’s always harder than you think it’s going to be. I’m trying not to do the same thing, but still use the strengths I already have, so it’s difficult. Otis: Do you ever become blocked? Or is it more free flowing for you? Silber: I don’t get blocked like I did when I was young. When I was young, I often had what I would call resistance, when I’d sit down and I wouldn’t be able to do anything. Now I’m more professional about it. There are certain times during the day I use for writing. I’m writing during that time, even if the work isn’t anything I want to use later. The work has its ups and downs but I’m much more used to that now. Otis: What is the best time of day for you to write? Silber: Between lunch and dinner. I know a lot of people do mornings, but I’m not a morning person. I do mindless tasks during the morning, and once I’m finished with lunch, I’m cued in. I’m probably not really going until about 2 or 3pm, and I stop at 7pm. Otis: Do you write and then edit? Or do you think your thoughts through before you put your words down? Silber: All of the above. I rewrite each sentence as I go, which is what students are told not to do. But for me, I go back and rewrite every time I start, and that’s how I get into it. I don’t do rough drafts. Otis: When you have your ideas, do you immediately write them down, or do you let them simmer in your head and figure them out before you write? Silber: If I’m starting something new, I take as many notes as I can, but that’s an interesting question, because I don’t know how I know when I’m ready to start. Sometimes it comes to me by actual lines of text rather than rough ideas. I’d certainly stress maintaining your own integrity. I sometimes feel there is too much emphasis on polishing. The heart of the matter is going deeper. I think people don’t often ask enough of themselves. Go as deep as you can. Otis: How do titles come to you? Is this something that also comes to you in the idea process, or comes later? Silber: Titles are difficult for me, and usually they come late. The book I’m finishing now is finally called Improvement, which I’m pleased with. Otis: You said that it takes you about 3 months or more to write a short story, so how would you describe your writing process in completing the story, is it something you write every day? Silber: I teach a couple days of the week during the school year and I’m not writing on those days. Otis: You teach at Sarah Lawrence College, and you’ve taught at Warren Wilson College, correct? Silber: Yes, and I’ve just gone back to Warren Wilson after many years of not teaching there, and I love it. Otis: Are there differences between the places and the students you have? Silber: I mostly deal with grad students now. The students are mostly older at Warren Wilson because they are students who have working lives, or family lives, so they are doing low residency program. With Sarah Lawrence they are based near New York; with Warren Wilson, they are more all over the country. Otis: You have received a number of different fellowships from the National Endowment for the Arts, the New York Foundation for the Arts, and the John Simon Guggenheim Memorial Foundation. Did you have help in applying for those fellowships, were you just applying for them, or did someone bring that to your attention; how did you receive them? Silber: In the old days, I would apply for things like a Guggenheim, or an NEA, but in recent years, awards (which are different from grants) come about because the book has been submitted by the publisher. So that part is easier as I get older. Otis: What would you say to other writers who are starting out, and are looking for a fellowship, or a grant? Silber: It was hard for me to get published in the early years, and has gotten easier in the past 15 years for me, so it’s important to say to writers—stick with it. I’d certainly stress maintaining your own integrity. I sometimes feel there is too much emphasis on polishing. The heart of the matter is going deeper. I think people don’t often ask enough of themselves. Go as deep as you can. On a more practical level—I just heard an editor say he doesn’t like cover letters that go on too long. Don’t oversell yourself is the advice I’d give. The culture tends to over-value self-promotion. Otis: How would you advise other writers about low residency, or an MFA program? Silber: It depends on their lives. At Sarah Lawrence, we have weekly classes and one-on-one conferences, and at Warren Wilson I get their manuscripts by email, and I give my detailed responses by email. They are both great programs, and I have great colleagues at both programs. At Sarah Lawrence the students have two years of living around each other, which differs from Warren Wilson, but at both places, students make important friendships. Otis: Is there anything you’d like to add that I haven’t asked? Silber: The bad news is how hard it is. It takes much more work for the smallest piece of prose than what anyone ever thinks. The good news is you can fix stuff that isn’t good enough yet, which you can’t always do in real life. 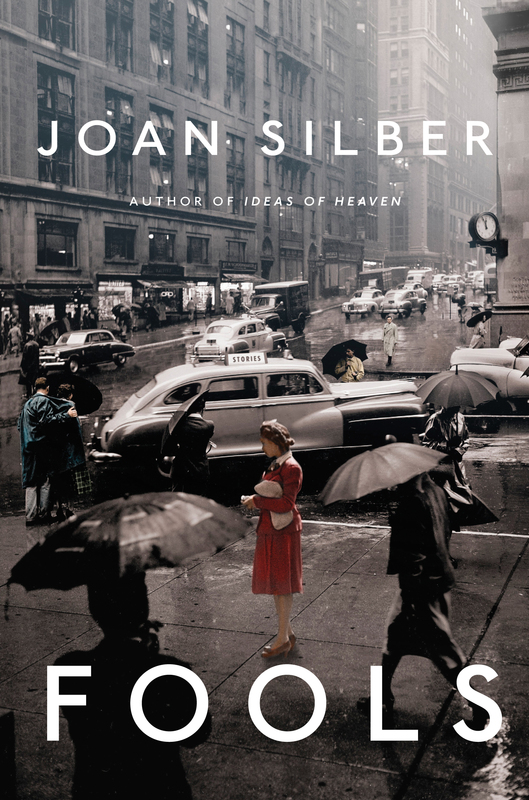 Joan Silber is currently working on her novel, Improvement.